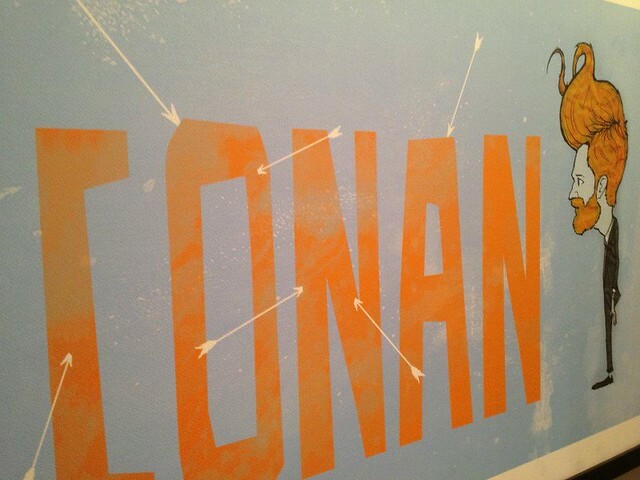 We wandered into the Coco MoCA (aka The Museum of Conan Art) during Snowtober and it was a blast. As much of a blast as an art exhibit at the Shops at Columbus Circle can be. No I take that back, it was better than that. The art was all ridiculously creative and inspiring. You might think, it was all some concoction of Conan O’Brien right? So how awesome can that really be? Well, it just was. There were knit Conans and MetroCard Conans and a very strange Pencil Conan, not a pencil drawing of him I mean literally a life sized statue of Conan made of pencils. You had to be there. This was one of those amazing New York experiences. An art exhibit featuring fan art made in the likeness and in honor of a late night talk show host and although we knew it would be there we really did just stumble into it. There was this ridiculous couch that vibrates and talks and kinda hugs you then when you are making the absolute most ridiculous facial expression possible, it snaps a photo of you and lets to Tweet, Facebook, or email it. I visited twice and both photos are akin to the worst photos ever taken of me and yet they are awesome. The second time I tried really hard to keep a straight face but the couch out-witted me and I broke. I suppose if I was going to be out-witted by a couch I’m happy it was the Coco couch. I will just post a handful of photos here, you can check them out online for yourself. I should note, the staff encouraged us to take photos. 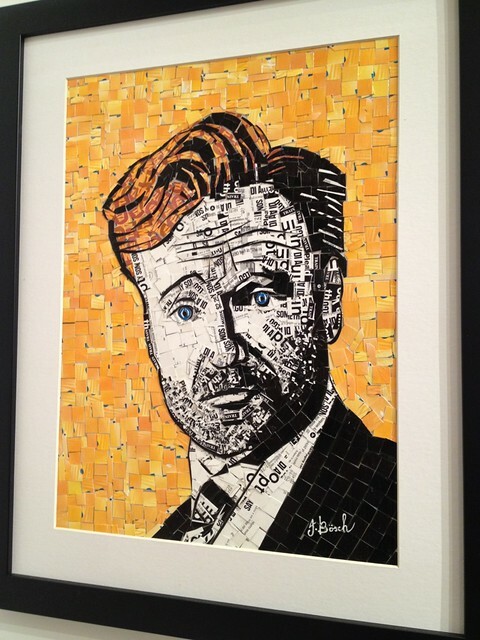 All art titles and artist information can be found on the official Coco MoCA online galleries. coco. daughter. 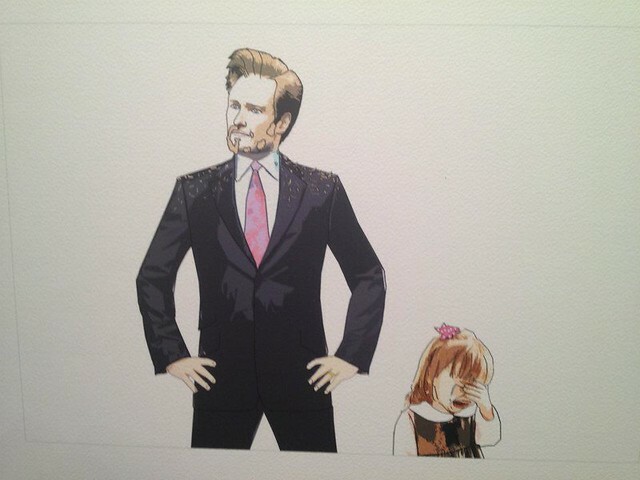 this one was supposed to be conan and his daughter. i love it. coco. knit. 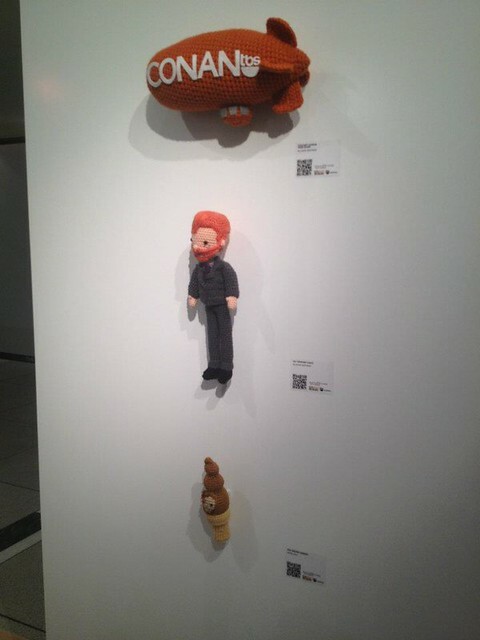 i absolutely love that someone out there took the time to knit conan! amazing! coco. pencils. 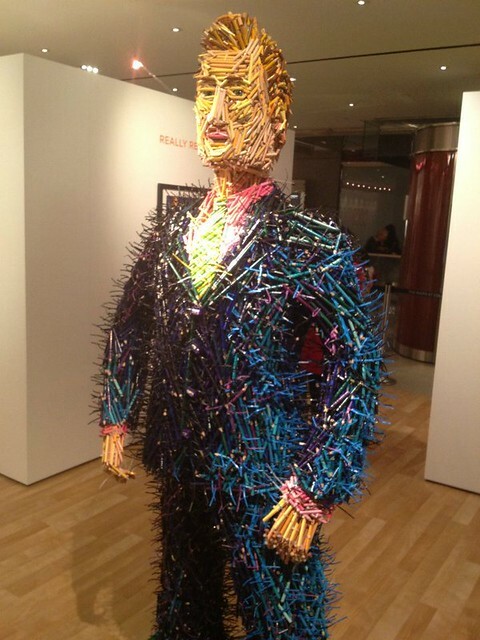 as mentioned above, he's made entirely of pencils. and he's really tall. 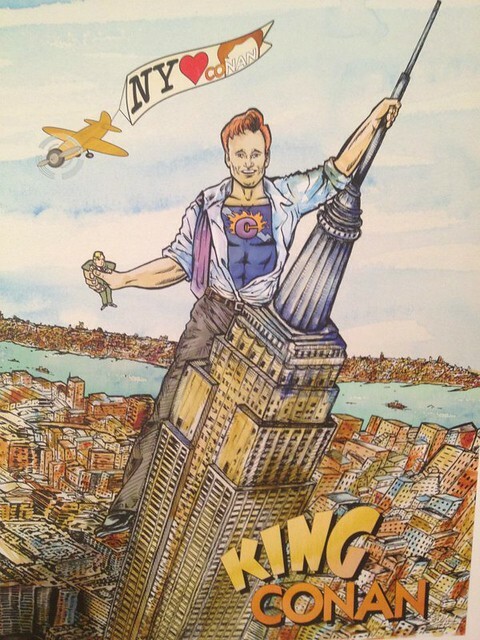 This entry was posted in events, everything i've blogged and tagged Columbus Circle, Conan O'Brien, manhattan, museum, New York City, snow. Bookmark the permalink. 2 Responses to Coco MoCA.